We also offer a number of sterling silver charms which you can use to design your own custom silver charm bracelets. Just choose a plain sterling silver bracelet and then click on 'Princessa Charms' to see the full range of charms available. 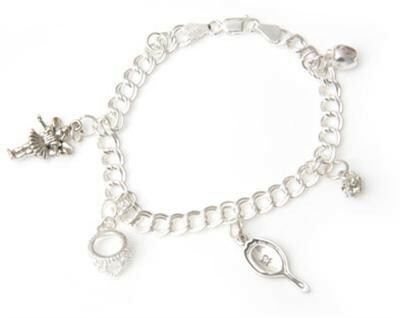 Once you have ordered we will attach the charms to your silver bracelet and despatch to you.